Provide comfort for the family of Carroll "Red" Hardy with a meaningful gesture of sympathy. HOLDEN - Carroll “Red” Hardy, 87, passed away at his home in Holden, surrounded by his family on March 26, 2019. 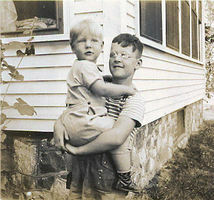 He was born June 14, 1931 in Bangor to Kenneth and Dora Nadine (Briggs) Hardy. Carroll attended Bangor schools. At a young age Carroll began working in the family business. He began his career with his father in the used car business in Bangor “on the square” and then moved operations to Brewer where they founded Hardy’s Trailer Sales. 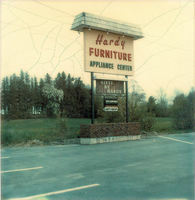 Upon his father’s retirement he became president of the business and expanded to 13 locations statewide. In Aroostook County he and his wife, Christine, built and operated the County’s first modern hotel including a restaurant and lounge, the Swamp Fox, and he was affectionately known as that in the County. 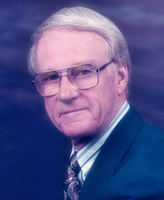 Later in life Carroll obtained his real estate broker license and became successful in the real estate field. A lover of the four seasons, Carroll spent 30 years on the National Ski Patrol at Big Squaw Mountain, Greenville, Maine. He also enjoyed his cruiser, the Daisy, on Moosehead Lake where he had his beloved vacation home for almost 50 years. He was a hunter, an avid pilot and motorcyclist. Carroll loved to travel and he took multiple cruises and visited over 30 countries. Carroll was a member of the Ralph J. Pollard Lodge #217, AF & AM of Orrington and Anah Shriners in Bangor. He loved riding his go cart and entertaining the crowds at parades while raising money for the world renowned Shriner Hospitals for children. Besides his parents, Carroll was predeceased by his two younger brothers, Kenneth, Jr. “Larry” and Richard. He is survived by his two sons, Brent (Cheryl) of Dedham, ME and David (Michele) of Montclair, NJ; Four grandchildren – Jeffrey, Michelle, Jamie Lynn and Christopher; two great grandchildren; several nieces and nephews; his dear friend, Leeanne Taylor and longtime business assistant and friend, Linda Cray. Relatives and friends are welcome to call 4 to 6 p.m. Sunday , March 31, 2019 at Brookings-Smith, 133 Center St., Bangor, where a funeral service will be held 10 a.m. Monday, April 1, 2019 with the Rev. Dr. Stan Moody, pastor of the Columbia Street Baptist Church officiating. The family invites all to share conversation and refreshments at the Family Reception Center of Brookings-Smith, 163 Center Street, Bangor, immediately following the service Monday. Entombment will be in the Garden Mausoleum at Mount Hope Cemetery, Bangor. 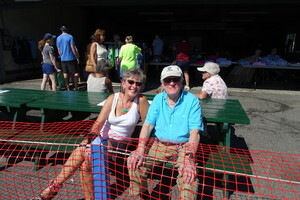 For those who wish to remember Carroll in a special way, gifts in his memory may be sent to the Shrine Hospital For Children c/o Anah Shrine Center, 1404 Broadway, Bangor, ME 04401. Condolences to the family may be expressed at BrookingsSmith.com. The family invites all to share conversation and refreshments at the Family Reception Center of Brookings-Smith, 163 Center Street, Bangor, immediately following the service Monday. We encourage you to share your most beloved memories of Carroll "Red" Hardy here, so that the family and other loved ones can always see it. You can upload cherished photographs, or share your favorite stories, and can even comment on those shared by others. Provide comfort for the family of Carroll "Red" Hardy by sending flowers.